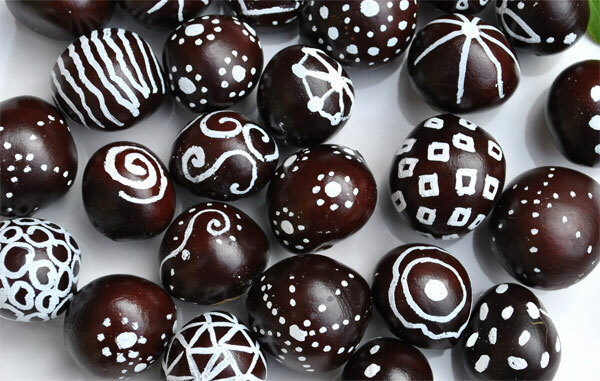 …I thought it would be fun to go to town with a white paint Sharpie and see what I could come up with! The hardest part of this endeavor was getting the ink or “paint” to start flowing in my pen. After a good shake, things started flowing and there was no stopping me. Simple bold graphical patterns seemed to work best. Piled on a simple white plate they make a stunning center piece for a fall table. 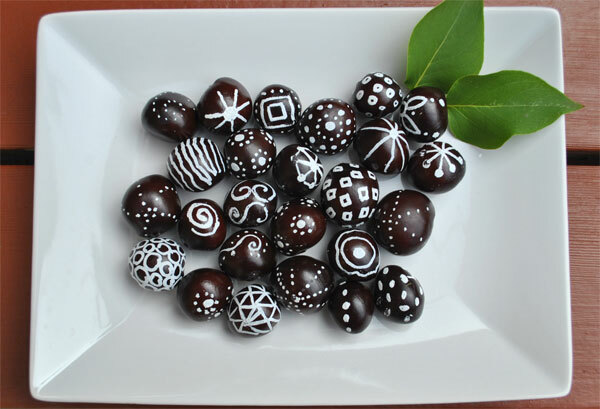 They almost look like really fancy chocolate truffles! 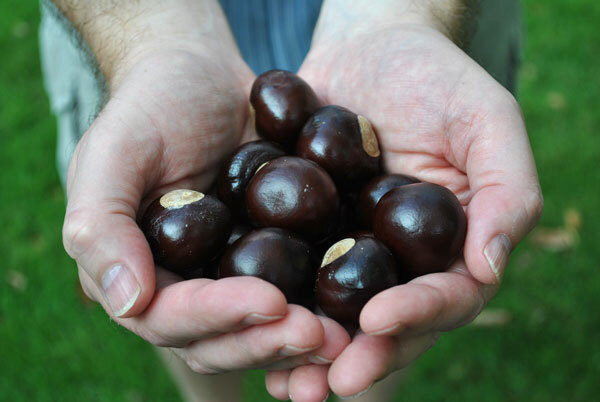 p.s A big shout out to Mr Chicago House whose hands are modeling the conkers, and even graciously changed his shirt to accommodate my photo shoot. Miss Chicago teen would usually have been roped into this but she is off at college! 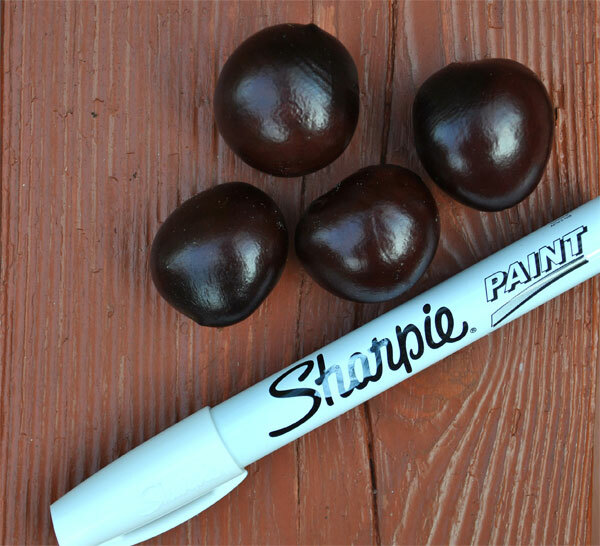 This entry was posted in Art, Craft Projects, Decorative Accents, Home Decor, Natural Materials, Sharpies!, Trash to Treasure and tagged brown, budget, fall, sharpies. Bookmark the permalink. Fun post. 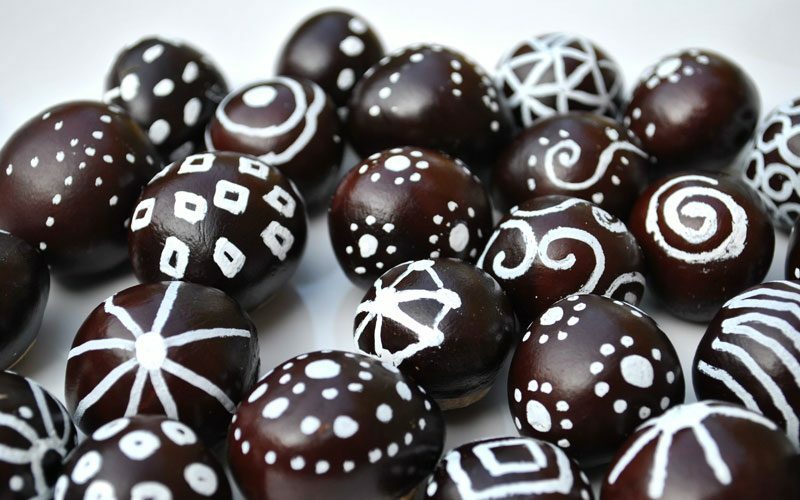 Didn’t know what conker were but they are beautiful especially artfully painted!